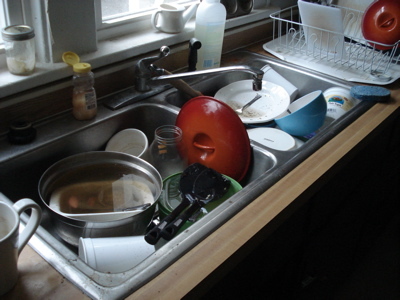 also, i haven’t done the dishes. I wrestle with categories in all parts of my life and work, and while I’m unsure exactly how much I want to say about my week here in this space, which is somewhere between private and public in ways that mean a lot to me, I also feel like you’ve all been here as I’ve tried to think about and work through some very personal things, especially in this last year. So it seems only appropriate to tell you that I’ve started seeing someone. He’s been smiling at me for weeks. The occasional conversation turned into the occasional email, which, last Wednesday, turned into a lecture, dinner, a movie screening, and tea (all in one afternoon-into-evening). So much is unexpected and surprising about this for me: there are many things about us that are quite different, and yet, we have great conversation and chemistry. I probably won’t say much more about this. I don’t know what it will become, how it will develop. But my real-life community can see me grinning (and is giving me a good-natured hard time about it), and as you all are also part of my community, I wanted to tell you too. So there it is: the reason the dishes have piled up, that my work is not getting done, that I have no knitting, or even silly Boh pictures to share — and the reason I’ve been smiling all week.